Precision agriculture is not just for row crop growers anymore. This is a clear takeaway from a cross-market online survey we at Meister Media Worldwide conducted this past winter. We polled specialty crop growers, row crop growers, crop consultants, ag retailers, and others across North America — the U.S., Canada, and Mexico. Fruit, vegetable, and ornamental growers are as bullish about the current state of precision technology as their counterparts in corn, soybeans, wheat, and cotton. 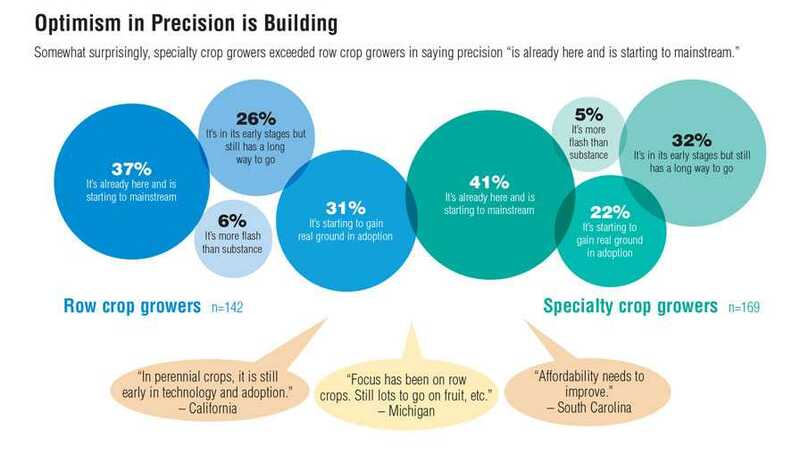 This, despite actual adoption in specialty crops still widely believed to be lagging that in row crops. Row crops admittedly pioneered the earliest uses of precision — yield mapping, yield monitoring, and variable rate application of crop inputs specifically — in the 1980s and ’90s. Today, precision agriculture and the more general use of data-driven digital platforms and tools — all the way from preseason planning through farm management and on through the downstream food chain — are making inroads among specialty crops. Labor and water challenges are usually even more acute in specialty crops, and the call for traceability and sustainability is often even higher than in commodity crops. And while specific, real-world uses of precision and technological needs may diverge between specialty crops and row crops and across national borders, growers overall have common interests in new solutions. 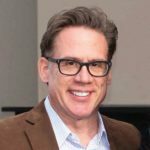 Growers are intrigued by sensors, which have reached new heights in what they can accomplish — pulling in imagery and data from satellite, aerial, and ground sources but also increasingly deployed to measure and monitor soil, water, crop growth and health, fertility, and postharvest movement crop well-being. Growers also have considerable curiosity for the tools used to transmit and make sense of that data: Internet of Things connectivity, the abundance and effective management of data, and farm management and decision-support systems. But topmost among growers in this era of drought and erratic weather is, not surprisingly, excitement about the potential for precision irrigation and water management to transform agriculture. 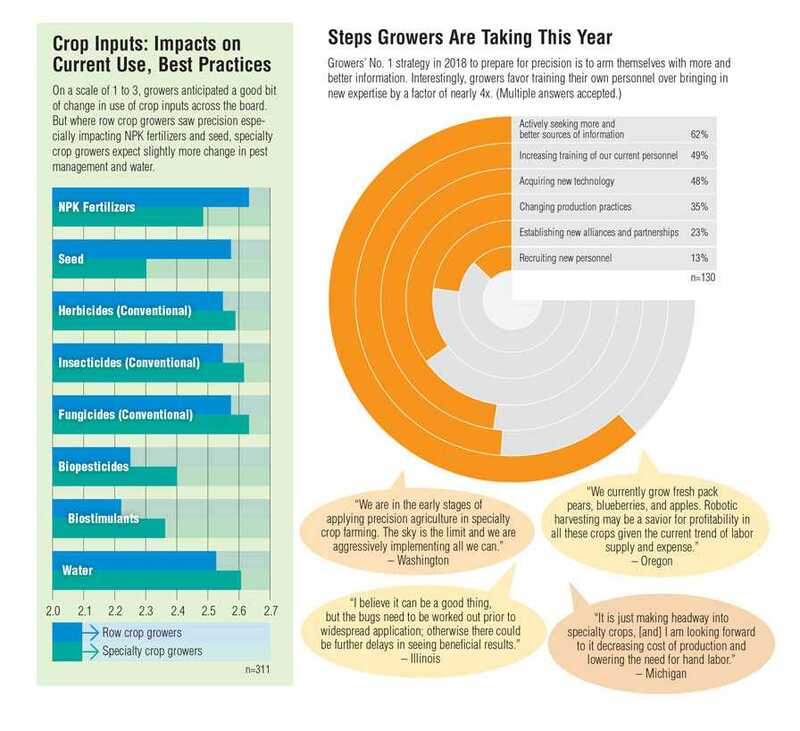 Below is a snapshot of what our survey found, along with some running commentary from growers that, as often as not, expressed some healthy skepticism side by side with general optimism about the future of precision. Meister Media Worldwide conducted an online precision agriculture survey in February 2018 across all digital platforms of our media brands in the U.S. and around the world. In North America, we received 827 complete and useable responses: 616 from the U.S. (74.5%), 177 from Mexico (21.4%), and 34 from Canada (4.1%). Specialty crop growers (20.4%), distributors, and retailers of crop inputs and equipment (20.4%), row crop growers (17.4%), and agricultural consultants (16.6%) comprised about three-quarters of our total North American respondents.